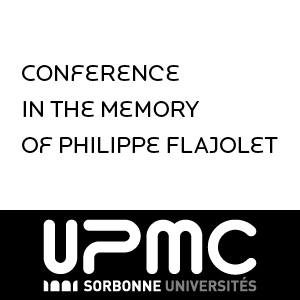 This conference in the memory of Philippe Flajolet pays homage to the man as well as the multi-faceted mathematician and computer-scientist. The first afternoon, which is recorded here, is devoted to testimonies of his scientific fellows and official talks. The next two days were dedicated to scientific talks; the program and slides can be found at http://algo.inria.fr/pfac/PFAC/PFAC.html. These talks are intended to people who want to learn about Philippe Flajolet’s work, and are given mostly by co-authors of Philippe. In 30 minutes, they give a pedagogical introduction to his work, identify his main ideas and contributions and possibly show their evolution. Most of the talks form a basis for an introduction to the corresponding chapter in Philippe Flajolet's collected works, to be edited soon.